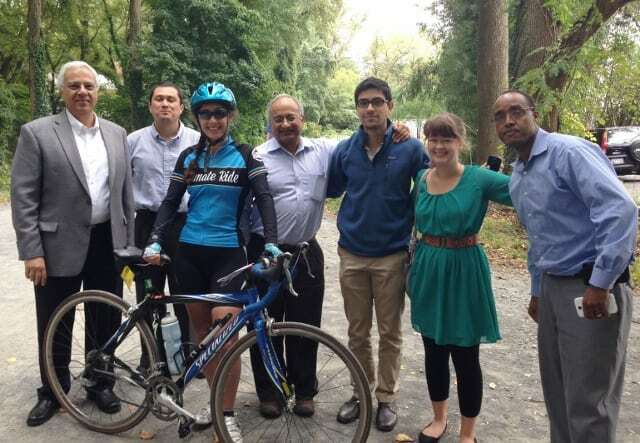 ME&A Project Manager, Audra Stark, joined 100 cyclists traveling from New York to Washington, DC, for five days this September to raise awareness of climate change and to promote the use of bicycles as an alternative, sustainable form of transportation. Stark, 30, rode her bicycle for more than 300 miles through some of the most beautiful and historic regions of the northeastern United States, arriving at the doors of the nation’s Capitol on Wednesday, September 25. The travelers were joined by hundreds of local cyclists as they passed through the streets of Washington on their way to the Capitol. Stark, a native of Rochester, NY, joined ME&A in the spring of 2012 after obtaining a Master’s Degree at Columbia University.